Note : Price may be fluctuate as per requirement and these price is for general idea only. These Oxygen Cylinder Valve Key Spindle are made by using very high quality raw material which ensures hassle free work performance at its user end. These Oxygen Cylinder Valve Key Spindle are also customized according to our customers given specifications and dimensions. We supply spare parts for air & gas compressors ( Screw & Reciprocating Type ) for various make compressors. We are engaged in offering wide range of Piston Rings & Buckets that are considered one of the fast moving replacements parts. Keeping in mind the higher operating pressures, elevated operating temperatures and increased piston speed of air or gas compressors and expansion engine, we have precisely designed our range. Being the foremost names of the industry, we are involved in providing an extensive series of Gas Compressor Crankshaft to our honored clientele. valves, valve boxes, cylinders, valve assemblies, pistons, pistons rings, gaskets, o-rings liners, spindles , rods, bearings, hoses etc. 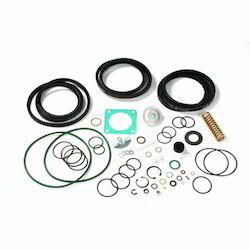 - all replaceable components that an oxygen compressor has. With phenomenal market understanding, we are able to introduce an extensive range of Gas Compressor Spares. Due to our massive know-how and familiarity in this business industry, we are indulged in presenting a broad consignment of Gas Compressor Spares. Made with perfection, their reliability makes these products a favored choice of our patrons. Also, the complete array goes through a series of quality tests so that we ensure their flawlessness at the end of our patrons. Our company is highly esteemed in offering Gas Compressor Piston Rodto the clients.